Quite simply, keto biscuits are a low-carb, high fat variation of a traditional flour-laden biscuit. These use almond flour, mozzarella cheese, and sour cream to ensure they are moist and delicious. The term biscuit can actually mean two different products, depending on where in the world you are. In North America, biscuits refer to round, fluffy bread products traditionally eaten at breakfast. However, in other parts of the world, biscuits refer to small cookie or cracker-like products that are crunchy and hard. They can either be sweet or not, depending on their use and the meal intended for. This recipe refers to the first of the two, the North American variety. 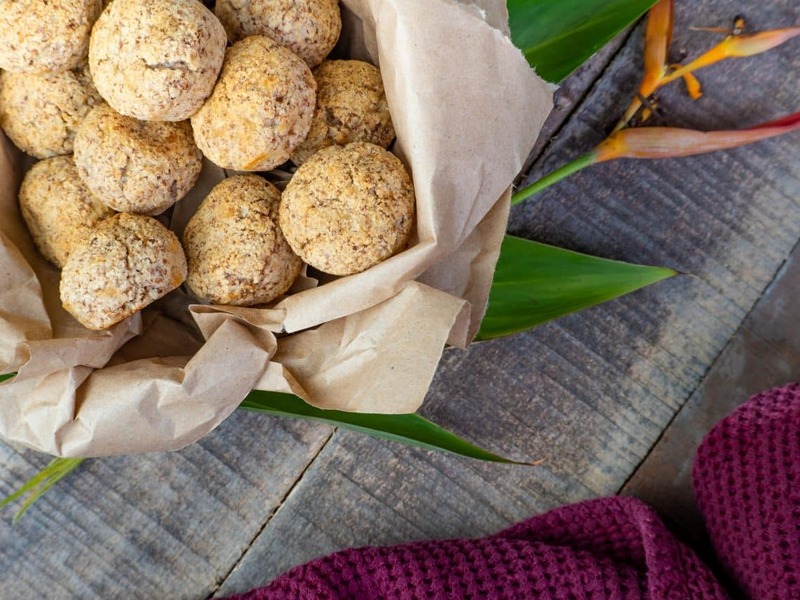 To make these awesome low-carb biscuits, you’ll need to round up the following ingredients. After you have these ingredients ready to go, you’re ready to create some deliciousness! Begin by preheating your oven to 400˚F. Grease your muffin pan with coconut oil cooking spray or butter. Combine all of the ingredients into a mixing bowl and mix well using a hand mixer. Alternatively, you can use a whisk, but a hand mixer will do the job much faster and better. Not to mention, it’s much easier! Spoon or pour mixture into muffin tin, filling the cups around 2/3 of the way full. Run a knife around the edge of each biscuit to loosen. Remove from the muffin tin and devour! You could, but as a general rule coconut flour is very dry in comparison. If you are a seasoned user of coconut flour, you know how to take it and use it properly. If you are like us and don’t use coconut flour often (or at all, really) then it is definitely best to stay away from trying to use it. We aren’t fans of coconut flour in recipes unless we have to use it for some reason. Not in the least! Thanks to the mozzarella cheese, sour cream, and butter used in the recipe, there is really no way on earth these biscuits can be dry. In fact, these are some of the most moist biscuits we’ve ever had. And trust us, we’ve had lots of good ole (full of carbs) Southern biscuits throughout the years. Should for some unseen reason your biscuits turn out dry, your best bet is to butter them liberally (more info on this below). After buttering them, let them sit for a few minutes to let the butter seep in. At this point, they should be moist enough to eat! Even though this is possibly the most Southern saying you’ve ever heard… There is some information you need to know on how to butter your biscuits for even more deliciousness. The best way to make your biscuits extra yummy is to butter them. However, I see people butter biscuits totally wrong (at least in my opinion) all the time. I like to butter my biscuits twice. Once by melting a pat (small sliver) of butter on each biscuit. Second by cutting them in half right after they come out of the oven and adding another pat of butter. This of course, is our opinion on this, but it helps to make the biscuits even more moist and adds that delicious butter taste. If you’re interested in making your own butter at home, check out this article. There are tons of ways to enjoy these delicious biscuits. You can eat them as a side dish, dessert, or use other recipes as a spread on them. Here are a few of our favorite ideas for these biscuits. 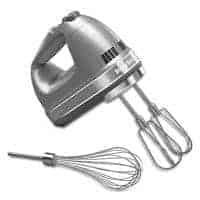 Hand Mixer – A hand mixer is an invaluable addition to your kitchen arsenal. They are able to take out all of the hard work when mixing basically anything. 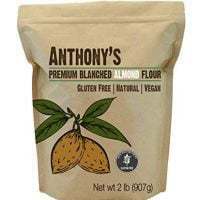 They are especially handy when needing to mix something thicker (like this mixture) or something that requires mixing for a longer period of time like our Keto White Chocolate Mousse. Don’t have a hand mixer? You should get one ASAP! Remove from muffin tin and devour! Thank you so much for all the fab ingredients for fab muffins! I see people butter biscuits totally wrong (at least in my opinion) all the time. Well in your opinion what is the best way ? I personally like to butter biscuits by cutting into them and putting a pat of butter in the middle. I also like to melt butter on top. Is there a “right” way? Probably not, but those are my favorite two, at least. Very good only thing I wish I would have added some spice but these are moist! Can’t wait to make the strawberry jam. Live in Indiana and we have Beef House Rolls with Strawberry sauce.. yum! Glad to hear you liked them so much! The strawberry jam is delicious too! 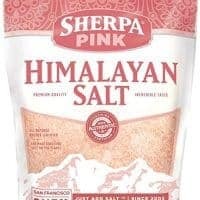 Do you think it is possible to use this recipe as a loaf of bread? I am sure it would be definitely possible, though I haven’t experimented with it personally. If you do, let us know!